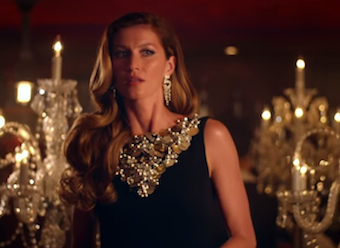 Chanel No5 has released a three-minute branded content video piece starring Brazilian supermodel Gisele Bundchen and directed by Baz Lurhmann. The new film follows in the footsteps of the brand’s 2005 piece ‘the movie’ with Nicole Kidman, a spin-off of the Moulin Rouge film also directed by Lurhmann. In a similar epic style, ‘The one that I want’, set to a slowed-down version of the Grease tune, follows the daily life of today’s Chanel No. 5 woman, personified by Bundchen. Throughout the film the supermodel transitions from her roles as a surfer, mother, working model and, of course, lover.